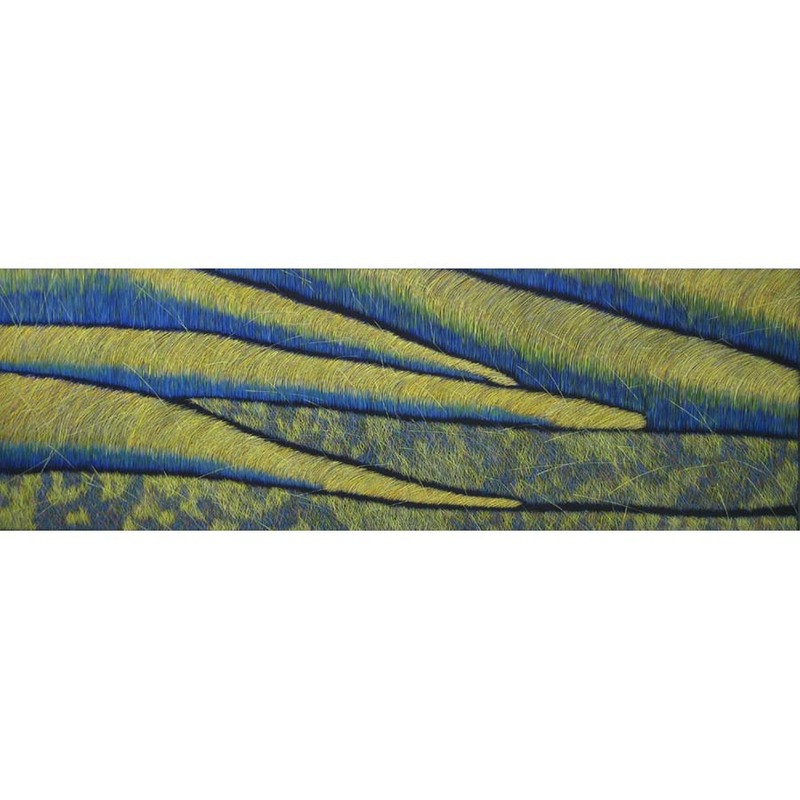 Yvonne is a Queensland artist who lives and paints at Mt. Glorious, near Brisbane. 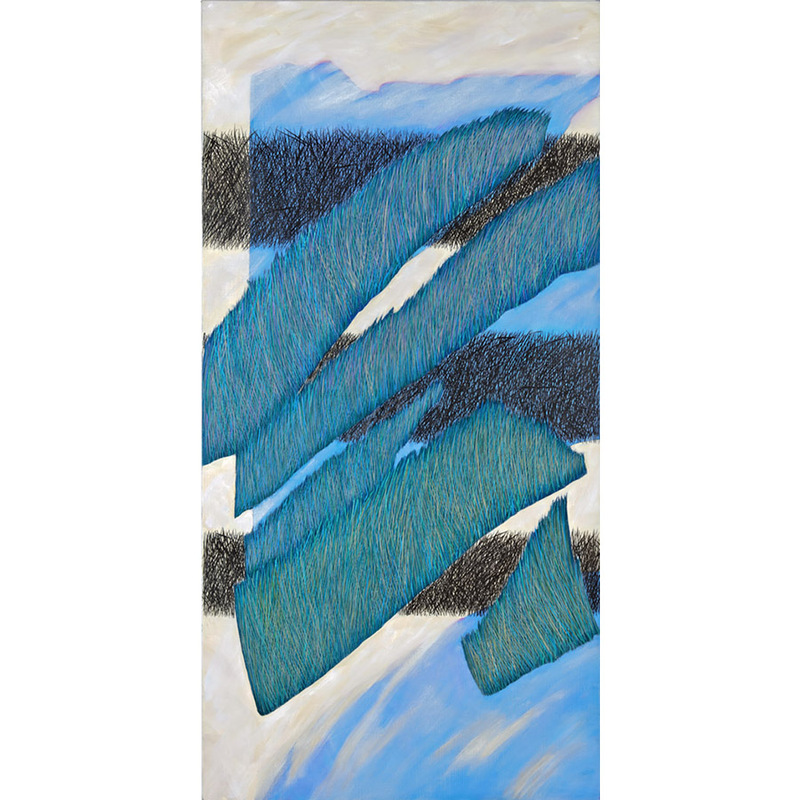 She began exhibiting in 1981 and since then has maintained a consistently strong painting practice and exhibition schedule. 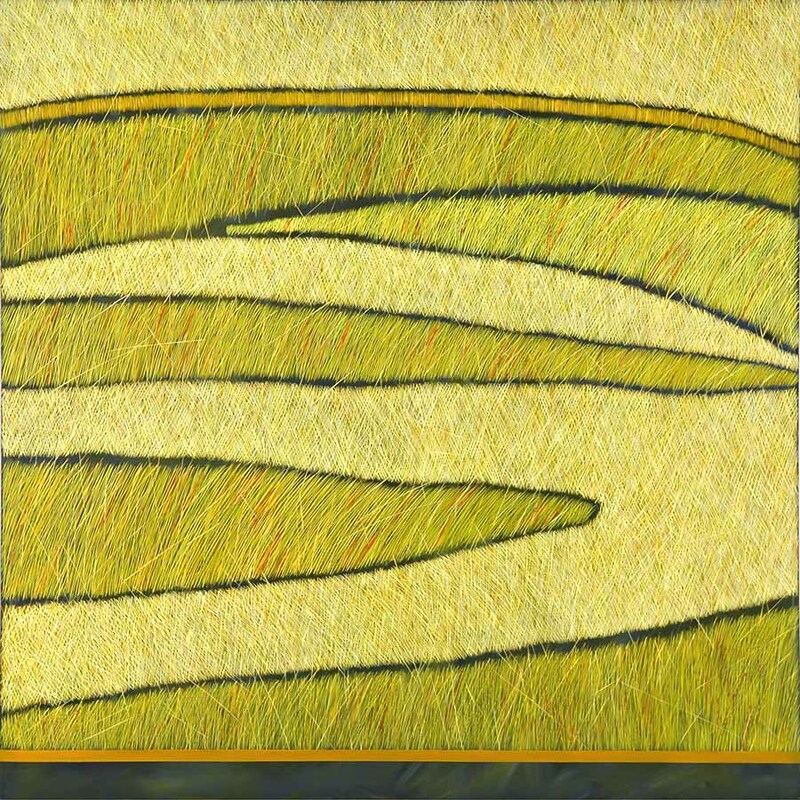 Her most distinctive paintings are the grass series oil works, begun in 2004. 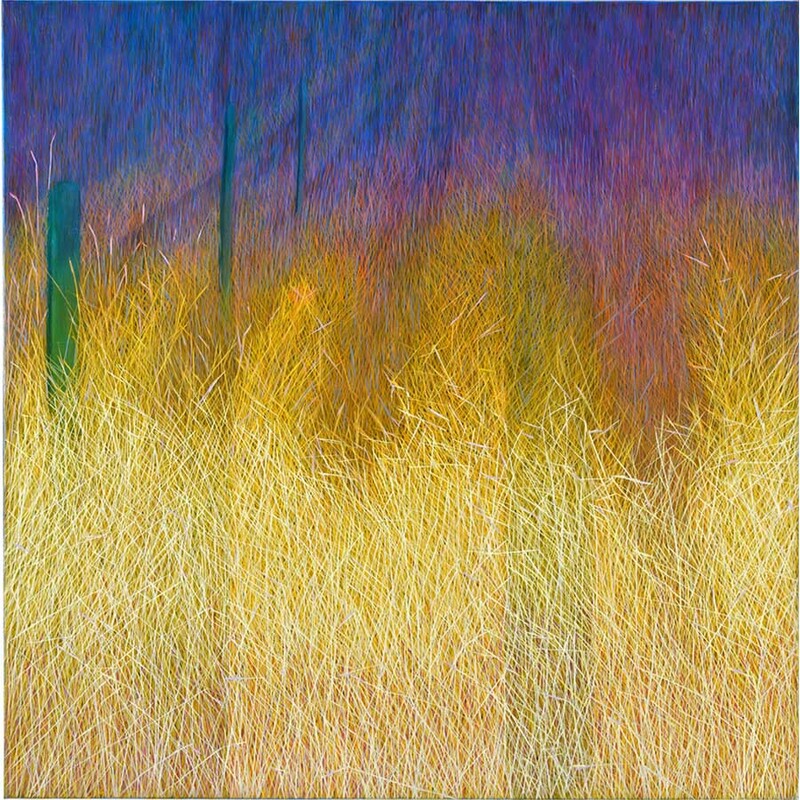 This series is concerned with the colour, structure and movement of grass, and the relationship between areas of where grass has once been and where grass is now travelling to. 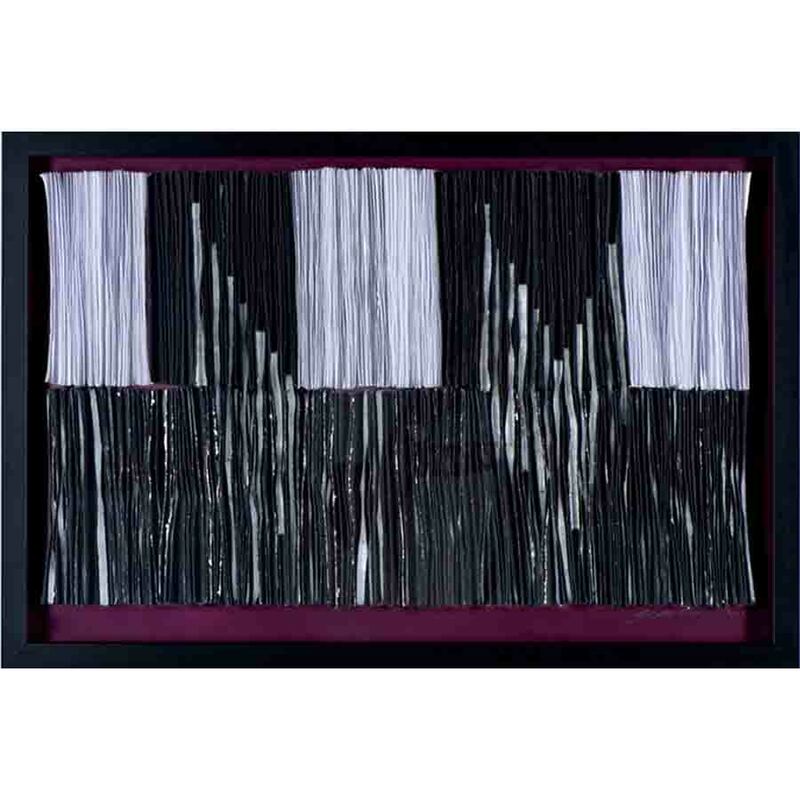 Her works are currently held in private and public collections both nationally and internationally, including in Parliament House, Canberra, and University of the Sunshine Coast. 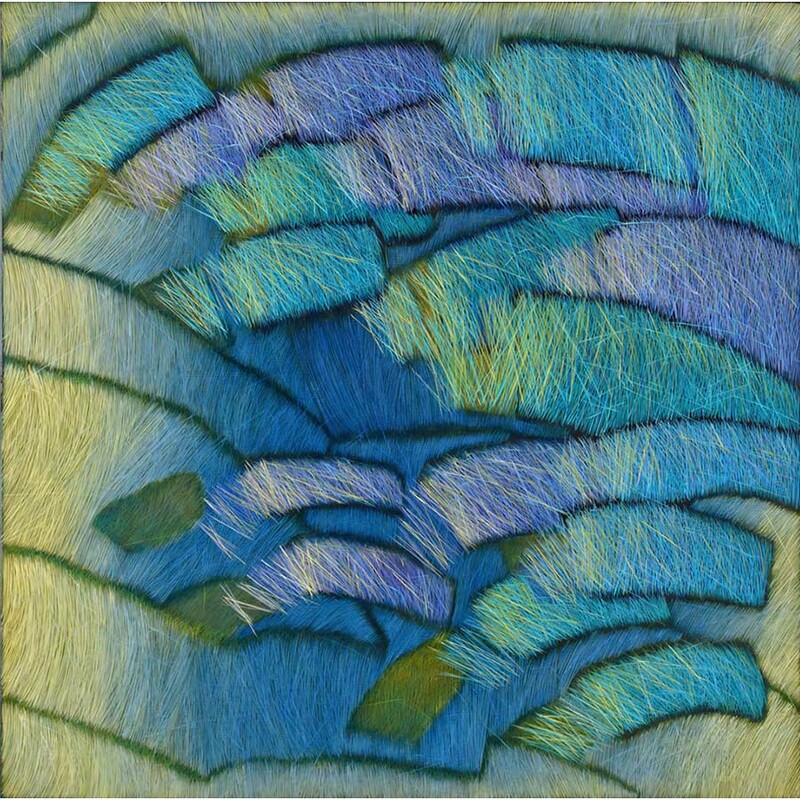 Yvonne's most distinctive paintings are her Grass Series begun in 2004. 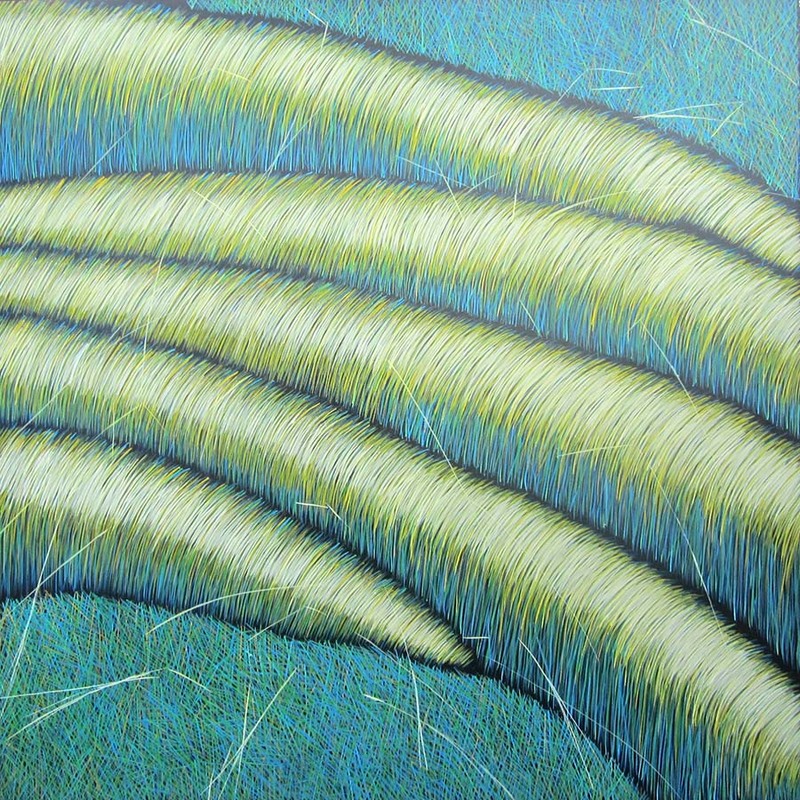 These are superbly crafted oil paintings, loaded with a strong metaphor for the spirit and movement of grass. The austerity and boldness of this subject matter is balanced by a delicate depth and finish-enhanced surface, seemingly imbued with the very fragrance of the Australian landscape. 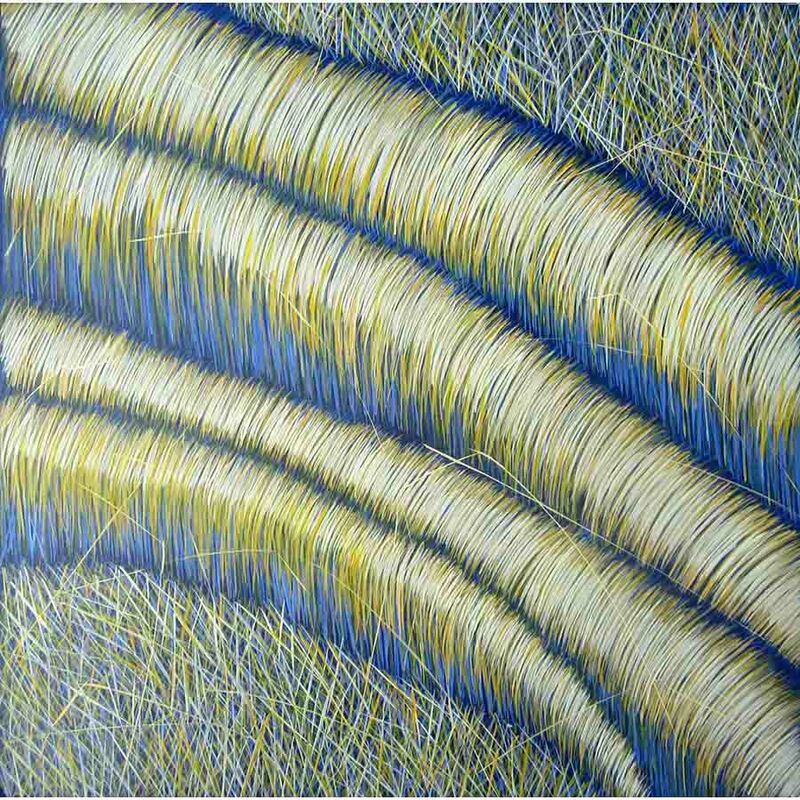 The ensuing result is works that vibrate and shimmer with their rhythmic and deliberate strokes of paint. 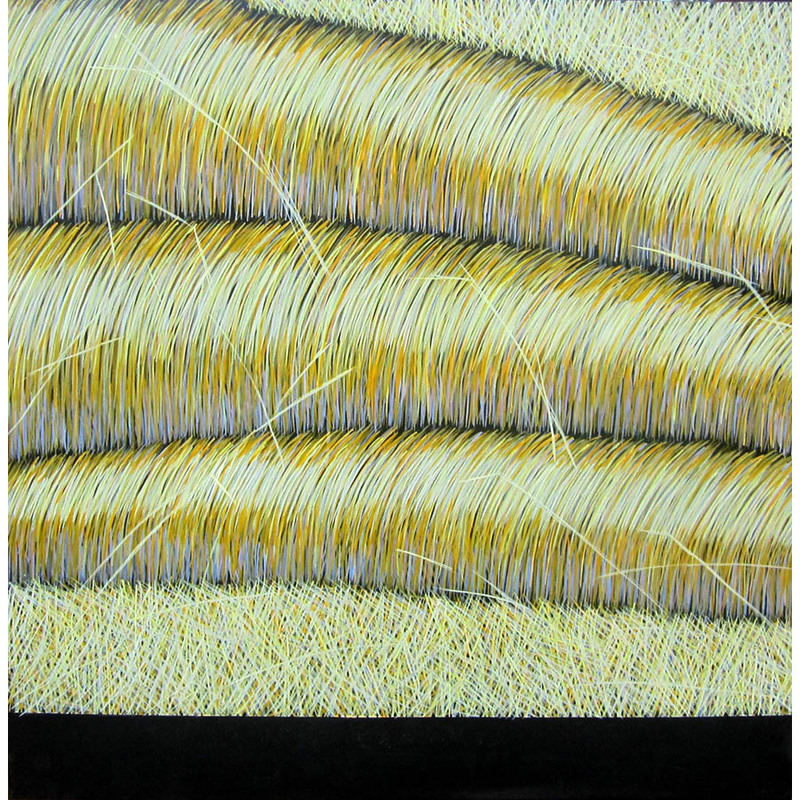 I remember when I first saw Yvonne’s work from her now infamous Grass Series in 2004, I immediately thought of it’s resonance with Indigenous art. I guess I’m tuned into that being somewhat of a dealer in this material, but we must not take these thoughts lightly. It’s not very often that you get this resonance. From that point on, there began an intriguing conversation, indeed often a dialogue with her art and others. 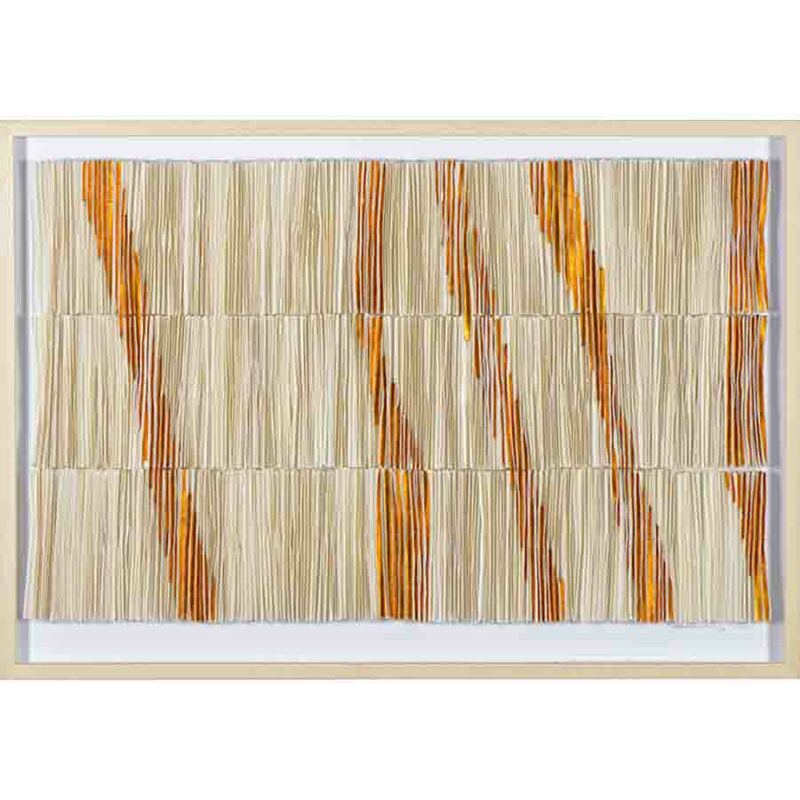 This found Yvonne’s paintings being paired and compared with other Australian artists, often amidst cautious questions about the artists’ background, ethnicity, locale etc. So what is it that makes Yvonne’s paintings unique in this context? I think it’s the combination of several important elements. Her passion and discipline, her commitment, her craftsmanship, her belief in the basic mystery of the painting process - sometimes you get lucky! It’s also about responding to this country. Not any country, it is definitely Australian country that Yvonne paints. I guess that’s also a strong and immediate resonance we have when looking at so much Indigenous art. More-often it will evoke a sense of place. It remains a mystery how this is achieved. Yvonne’s works accordingly, look very comfortable sitting nearby indigenous art. They don’t fight each other, they compliment and they inform one another. These are pretty rare commodities, far more easily to speak about than to physically achieve. Indeed for many these attributes remain political prizes or romantic notions. And there’s nothing wrong with romantic notions they are just so very hard to realize. Hence, meditating on Yvonne’s work therefore has a similar effect as one being transported into country, more so romantically, into a very nice, serene place. In earlier paintings the landscape has been dominant over any figurative themes, particularly images of water, coast and jetty scenes, but always a sense of wonderment about a place. 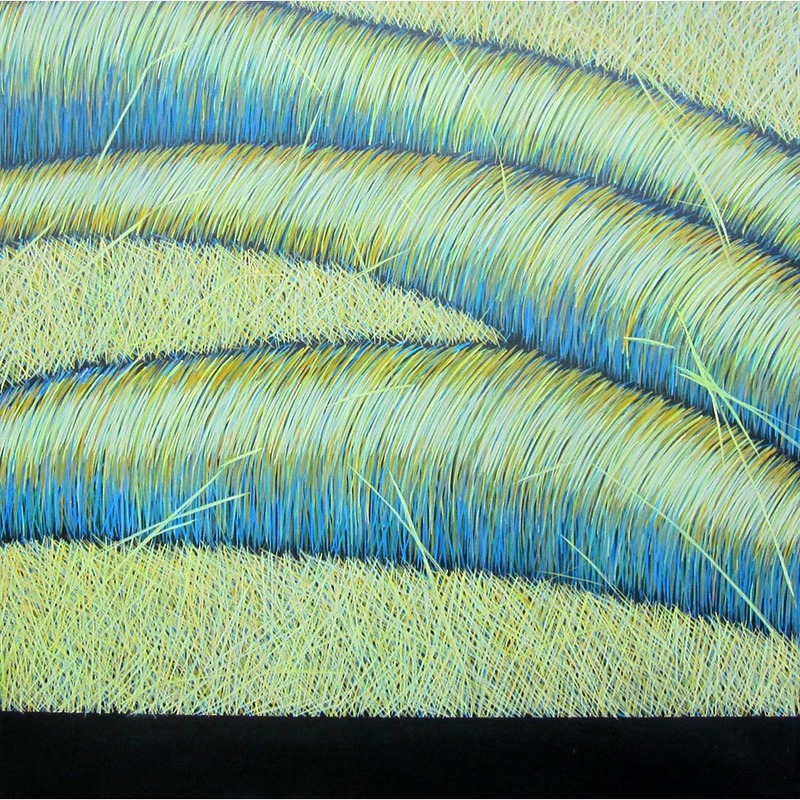 The grass was sometimes but one detail, that later became a dominant and focused theme within itself. 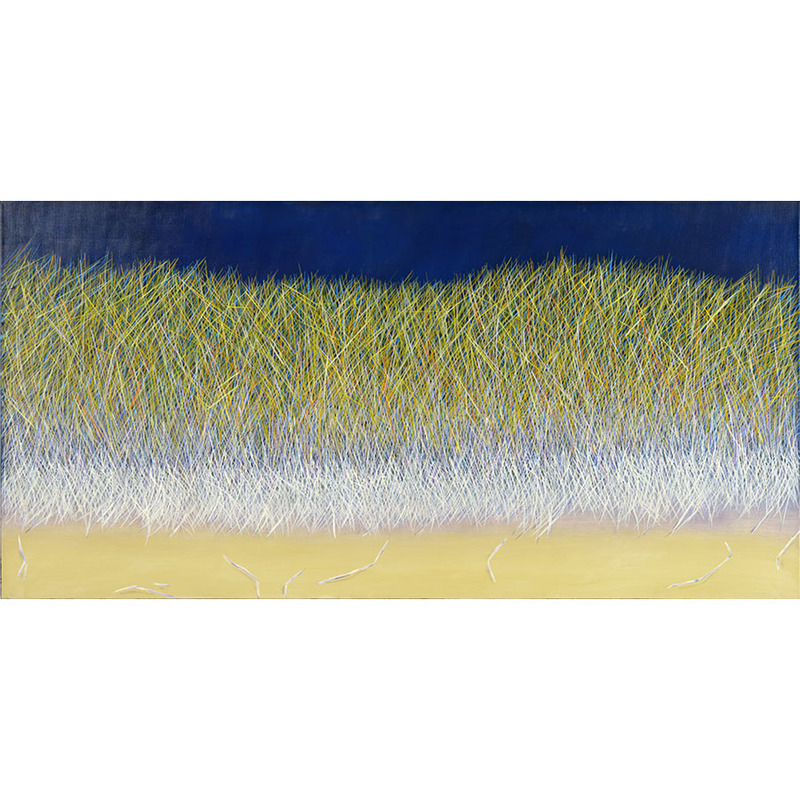 Her paintings are loaded with strong, simple metaphor, exquisite in depth and finish, enhanced almost with the smell of the Australian landscape. 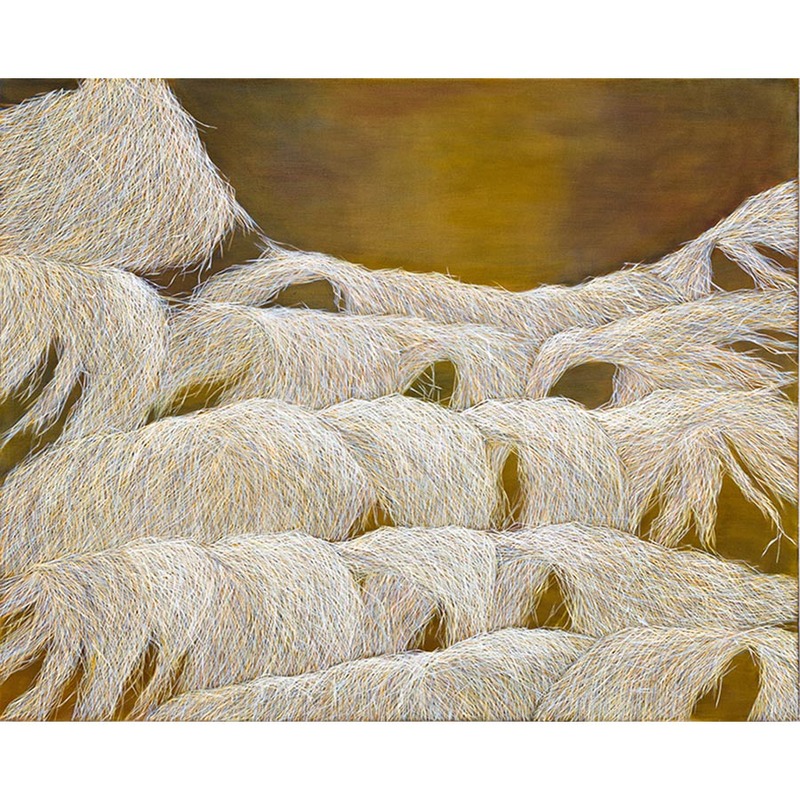 So here in 2010 in this impressive survey exhibition we can now look back at a selection of Yvonne’s paintings before, during and after this moment when the wind did indeed change, and the artist delved so deeply and passionately back into her own imagery - appropriating herself- culminating in so many variations of the Grass series: Encounters, Travels, Kikuyu, Dreams of Grass and other poetic meditations that remain her most prominent phase in a long and illustrious career. 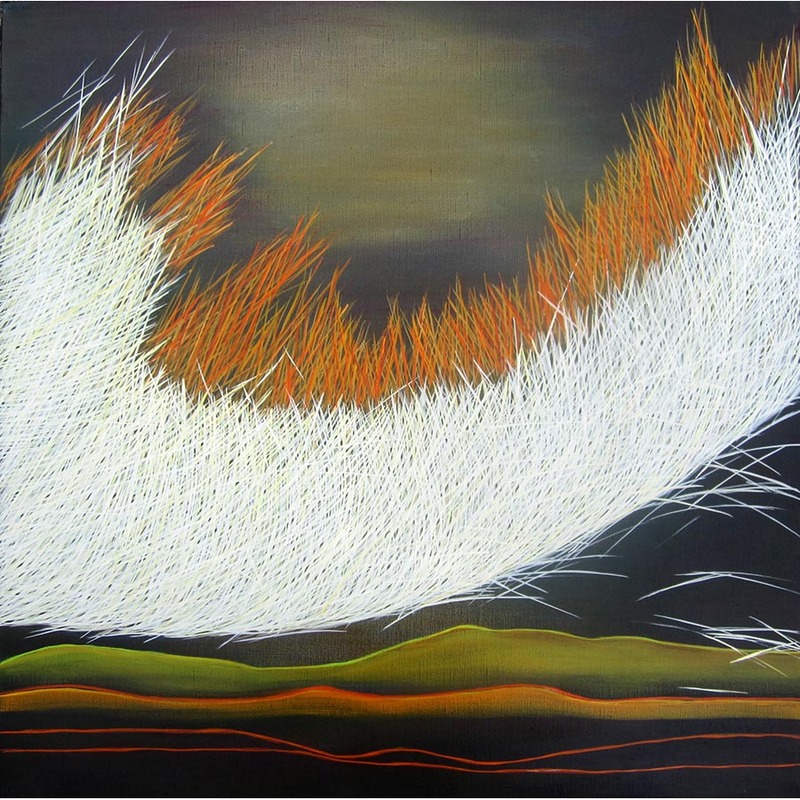 Yvonne has spoken about her inner dialogues with paint and country, the movement of grass … the journey of life … However; it is really her paintings that speak for themselves. This remains the real business of painting. 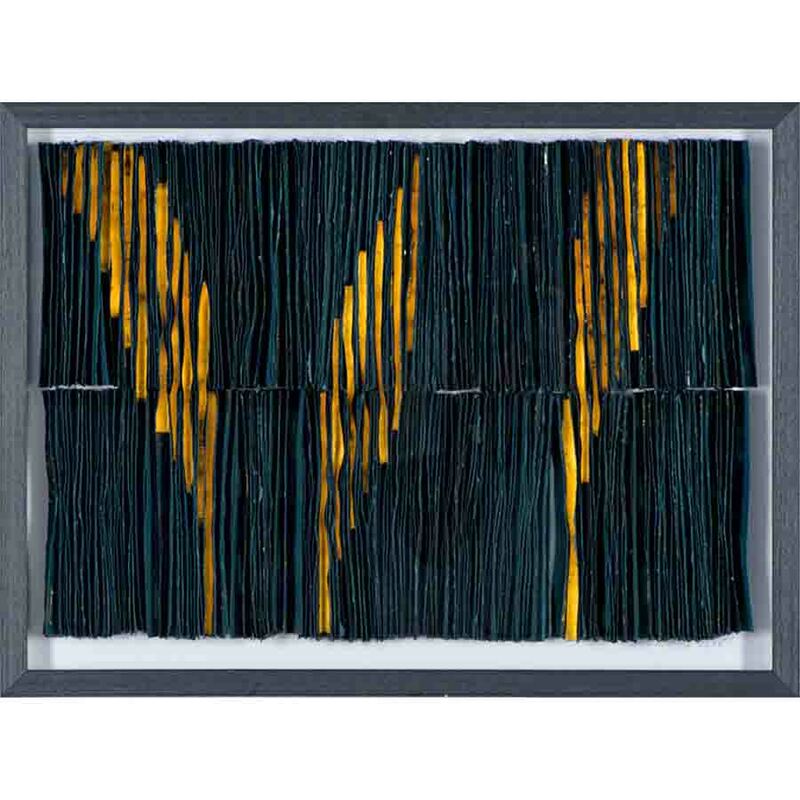 And so, many of Yvonne’s paintings simply but quietly announce themselves. They maintain a beautiful conversation not only between art and the artist, but with the viewer and the entrancing ‘country’ we all have in mind.